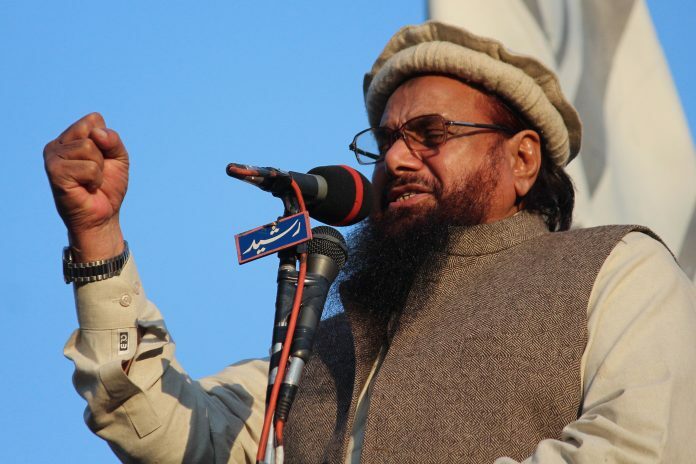 New Delhi: Irked over disclosure of information regarding the UN’s rejection of Jamaat-ud-Dawa chief Hafiz Saeed’s plea for removal of his name from the list of global terrorists earlier this month, Pakistan has written to the global body urging the setting up of an enquiry to find out how India’s news agency, Press Trust of India (PTI), got the information. In a letter to the UN last week, Pakistan’s Ambassador to the United Nations Maleeha Lodhi urged the setting up of an enquiry to find out which of the 15 members of the Committee had provided the information to India’s official news agency’ about the UN’s rejection of Hafiz Saeed’s plea for removal of his name from the list of global terrorists earlier this month, a government source said here. Though she erroneously described the Press Trust of India as official news agency’, Lodhi, a former journalist, attached news clippings carrying PTI stories. On March 7, Press Trust India broke the story about the UN rejecting an appeal by the 2008 Mumbai terror attack mastermind to remove his name from a list of banned terrorists. The UN decision had come after India provided detailed evidence, including highly confidential information , related to the JuD leader’s activities, sources had told PTI. Reacting to the Pakistan move, officials said the move is an attempt to curb the Indian media’s relentless coverage of Pakistan-based terrorism. Lodhi has not questioned the veracity of the PTI news story but instead sought to restrict flow of information about the continuation of the ban and desired that such information should not be made public in the future, a source familiar with the development said. However, there was no support for Lodhi’s request, sources said.